You have come to the right place! I’m so happy that you’re here! Why? Because you have what it takes to become a distributor with our team! You have taken the right steps to be here and get started creating your business and your future! You will benefit from our amazing team helping you build your team and your business! I am a Triple Diamond Independent It Works Distributor and my ultimate goal is to help you succeed. Let’s talk about why It Works will work for you! 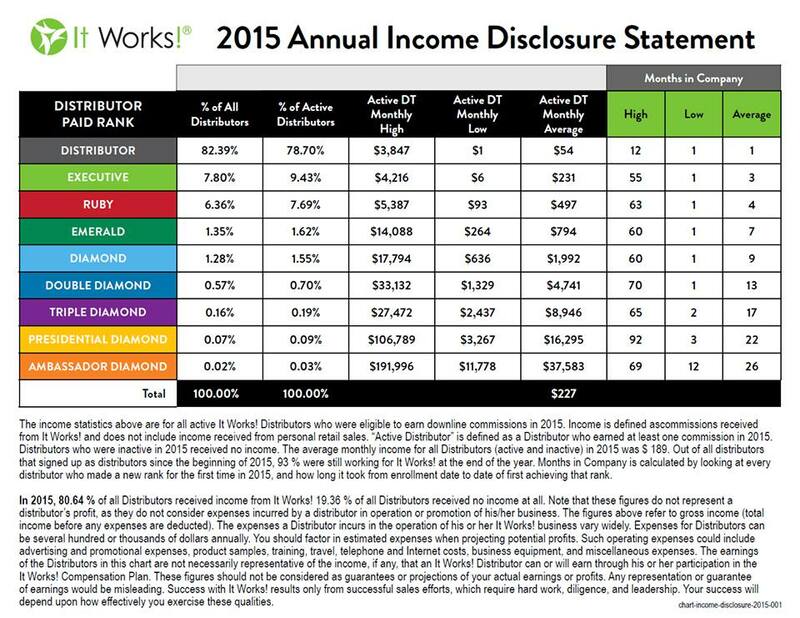 Why Become an It Works Distributor? It Works Global had over 450 million in sales in 2013, imagine what you can be a part of! We are on our way to becoming a billion dollar company! The starter kit includes a box of 4 applicators and an assortment of marketing materials. Boost your kit. (optional) Decide what products you want to add with your enrollment order. –> $499 Big Booster comes with 8 boxes of applicators, 3 boxes of facial applicators, 1 Defining Gel, 1 Greens and 1 Fat Fighter. –> $149 Mini Boost (available only at time of sign up) comes with 2 boxes of applicators, 1 box of facial applicators, 1 Defining Gel, 1 Greens and 1 Fat Fighter. Get your website set up. It’s free for the first month, then $20 per month. Set up your autoship that you pay for next month. It must be at least 80BV (bonus volume) to be commission qualified (so like 2 boxes of wraps). When you start your business with our team, you are signed up for an instant community and family. This is my full-time career and I am committed to training and teaching my team everything I have learned so you can succeed. Not only do we have regular training, but once you sign up as a distributor you are added to our private community where we share our successes and keep each other motivated and accountable. Then this is perfect for you! Starting with your why is the most important part of creating your business! My daughter is my why, she is my reason for wanting to help others and create a life for us. It is time you get started with creating your dream life! And I am excited to help you get started and set up your plan. Call my home office @ 888-827-7017. View the income disclaimer here.